The Ernie Broeniman Collection. 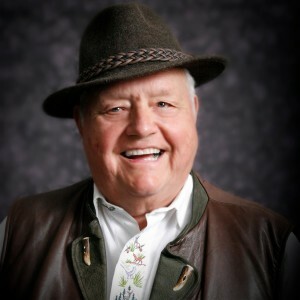 No man or woman has done more to bring traditional “old time” music to the present and future generations that Ernie Broeniman, founder and artistic director of Wisconsin’s famed Dorf Kapelle band. Ernie has applied his decades of experience to create fresh arrangements for larger concert bands of a number of Vitak-Elsnic classics and some you have not heard before. flute; oboe (most); bassoon (most); Bb clarinet 1,2,3; bass clarinet; Eb alto sax 1,2; Bb tenor sax/baritone TC; Eb baritone sax; Bb trumpet 1,2,3; F horn 1,2; trombone 1,2,3; baritone BC; bass; drums; FULL CONDUCTOR’S SCORE. Each chart is sold as an entire complete unit with all instrumentation and full score.